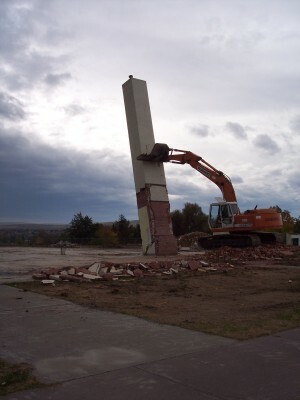 Demolition and clearing consists of a sequence of steps. Andrist Ent. has been in business since April 1984. We started as a small custom tractor business doing projects like leveling and graveling driveways, field mowing, planting pastures and abating properties of junk and weeds. 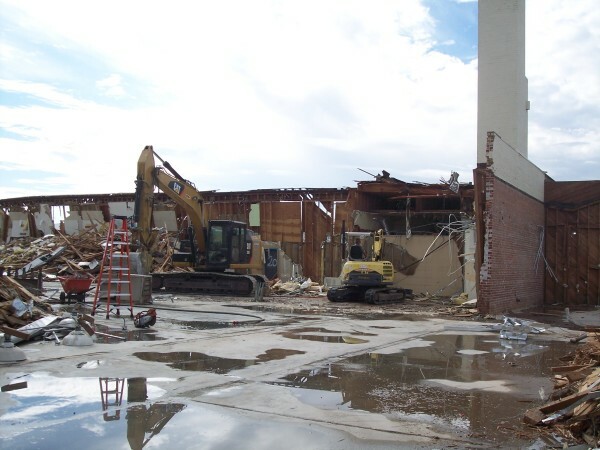 And we began doing demolition of houses in 1989 and have worked up to structures as large as a middle school for KSD. We offer free estimates with very competitive pricing, and high quality work. We also offer "turn key" sevices so that you, as a prospective customer, will only have to deal with us and have an absolute minimal amount of hassel on your part. We can take care of all of the project needs. We strive for jobsite safety, neatness, and low impact to neighboring residences and businesses with regards to noise, dust and debris. We've received many compliments about how clean our job sites are. We've also been praised for being sensative to peoples feelings over removal of landmark type structures.